The world of aquariums is bigger than you think and there is always something new in the field to surprise you. You most likely have seen many people with a beautiful tank and even more people with a tank flourishing with fauna. An Aquaponic kit is not only a tank, but also an ENTIRE ECO-SYSTEM!!. The kit includes an aquarium and a small garden placed above it. They need each other to survive, not to mention they look extraordinary together. The idea is simple: the fish feed the plants and the plants provide clean water for the fish. The garden is placed above the tank and the water in the tank is used for the plants. Fish produce waste, which usually you do your best to take out of the water before it hurts the fish. However, this waste is healthy for the plants that can actually feed off of the waste. The eco-system has a unique way of filtering the water to reach the plants and feed them. The more waste the fish produce, the more the plants will be fed. At the same time, the plant roots and the substrate are a great filter for the water and you will not have to use any chemicals. As long as you feed the fish and you perform water changes every once in a while, your small system will work perfectly. The kit costs a few hundreds, which is not cheap. On the other hand, you are getting a special system; many would argue it’s worth the price. You are getting an aquarium and a small garden in which you can actually grow vegetables you can eat! Now that’s something you don’t see every day! 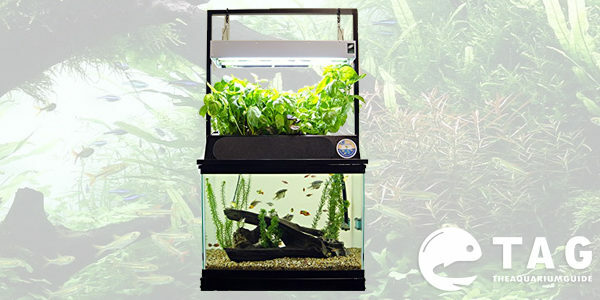 There are people who want a heavy planted tank, which may not work with this system. If you put too many plants in the tank it will overcrowd the water and the filtering system of the garden might not work. 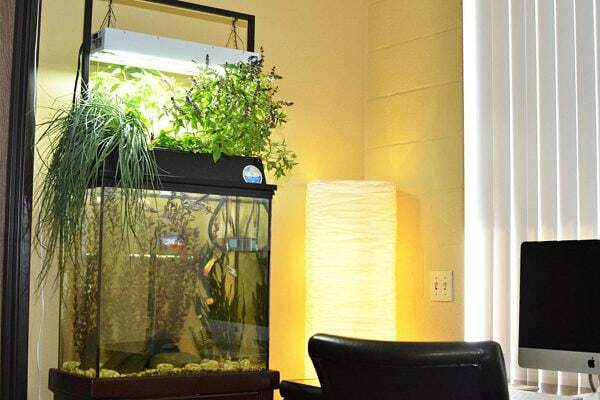 Moreover, the more plants you have in the tank the more light you need and this can be difficult to achieve since the system includes lighting support above the garden and only a small amount of light will reach the fish. Is there other equipment that is needed? As for the devices needed, you receive everything in the kit. Basically, all you need to do is bring the kit home and set it up! The kit contains several filters, a water pump, a pump hose, a LED light, a light fixture, net pots, clay pellets, and other accessories. One of the best advantages of this system is the ability to choose which plants to keep in your small garden, as long as they have a certain type of roots. Of course, you will not be able to use normal flower substrate, as this will not filter the water efficiently. The good news is the kit contains the exact type of substrate you need as well. Once you set up your tank and plant the vegetables, you might have to wait a few weeks before you can put the fish into the tank. The parameters of the water need to reach a normal level and this will probably not happen before the roots of the plants start to grow. Once they do, you can introduce a few fish and test the water twice per day. If you are sure everything is going well you can add the rest of the fish. No matter the price, you should not think twice about getting the ECO-Cycle Aquaponics Kit w/ Dual T5 Grow Light. It is great from many points of view and you will gain experience with two passions—gardening and aquascaping! Get yours now and start a garden in your home! 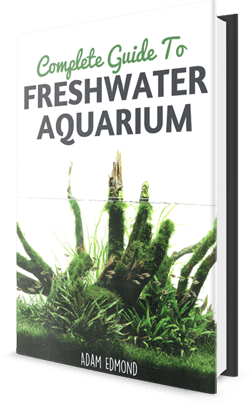 Brazilian Pennywort: How to grow in an aquarium?